To be ready for a catastrophic storm like a hurricane requires planning before the rotating storm clouds appear on the radar. Think about people with valuable homes and properties in hurricane-prone areas: homes must be specially designed and built by architects and builders to withstand the violent winds and water of the hurricane; shelters must be designated; emergency provisions must be purchased and stored; evacuation routes must be studied with care; every few years, you must reevaluate your precautions and purchase new emergency provisions; and, you must remain on guard and conscious of the weather. For the people who live in hurricane-prone areas, planning for a hurricane requires extra precautions, but the extra precautions are not hardships that adversely affect the lives of those people. To the contrary, having taken the extra precautions, these people have less anxiety and know that there valuable investments and lives will be protect and allow to flourish in the future. The people who are “hurricane ready” will likely not lose their investments and have to start over. Like planning for a hurricane, planning to protect your assets requires specific, detailed steps to be taken by you before someone tries to take your valuable assets from you. In 2012, there were over 1,000,000 lawsuits filed in Georgia and there were many claims that did not make it to the lawsuit stage. The people who made claims and filed lawsuits have one thing in common: they want money. Like planning for a hurricane, planning to protect you assets requires extra precautions specifically designed to reduce or eliminate the threat, but the extra precautions are not hardships. People who take specific steps to protect their assets, have less anxiety and will likely not have to start over and work to replace their lost assets with new ones. Have you ever heard someone say “rich people are lucky” or “a black cloud seems to follow him because he has such bad luck in business.” These expressions are nonsense. People who are financially successful are very deliberate and thoughtful. The “black cloud of bad luck” is made by people who are not prepared and who do not plan. Step #1- You improved yourself through study, school and/or work experience. Step #2- You worked hard. Step #3- You watched your expenses and denied yourself. Step #6- You took calculated risks. Step #7- You repeated Steps 1 through 6 over and over and over. Georgia comprehensive asset protection planning™ is the process whereby a Georgia resident (or business) systematically arranges and manages his affairs to minimize the likelihood of a lawsuit being filed against him, and if a lawsuit is filed, the appropriate legal structures and arrangements are in place to minimize the loss of assets. Step #1- Identify every asset and income that you have now. Step #2- Identify every asset and income that you may acquire in the future (for example, an inheritance from your parents). 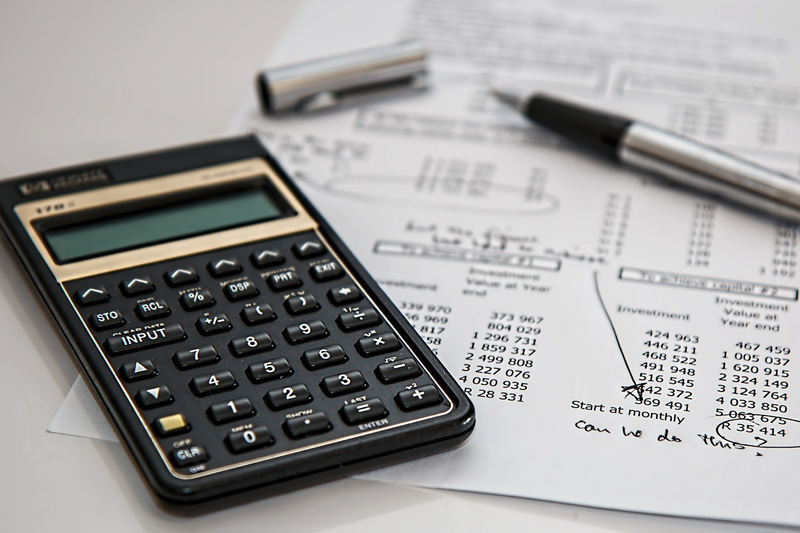 Step #3- Identify every potential source of liability you have now. Step #4- Identify every arrangement you have where either you pay someone to perform services for you or you perform services for someone else. Step #5- Review your liability insurance policies and coverage, and if necessary, make adjustments. Step #6- Implement contract and legal strategies to minimize or eliminate liability. Step #7 – Implement legal strategies to safeguard your assets. Step #8- Repeat Steps 1 through 7 over and over because your assets, incomes, liabilities, business relationships, etc. change through the years. 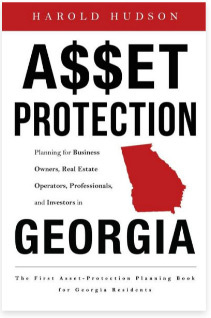 Georgia Comprehensive Asset Protection Planning™ was developed and created by Harold Hudson. Mr. Hudson is the author of the book Georgia Comprehensive Asset Protection Planning For Business People, Professionals and Investors™, which will soon be available to the public. If you are concerned about your valuable assets, please contact us.